The Four-Legged Friend (FLF) is a first-aid supply platform and general first-responder tool for providing relief to people in emergency or hazard situations. It is a quadruped robot that may act autonomously or be controlled via a bluetooth (XBee) remote control. The basic system is built into two parts: a motor-cortex "higher functioning" section, and an opto-isolated servo power part. 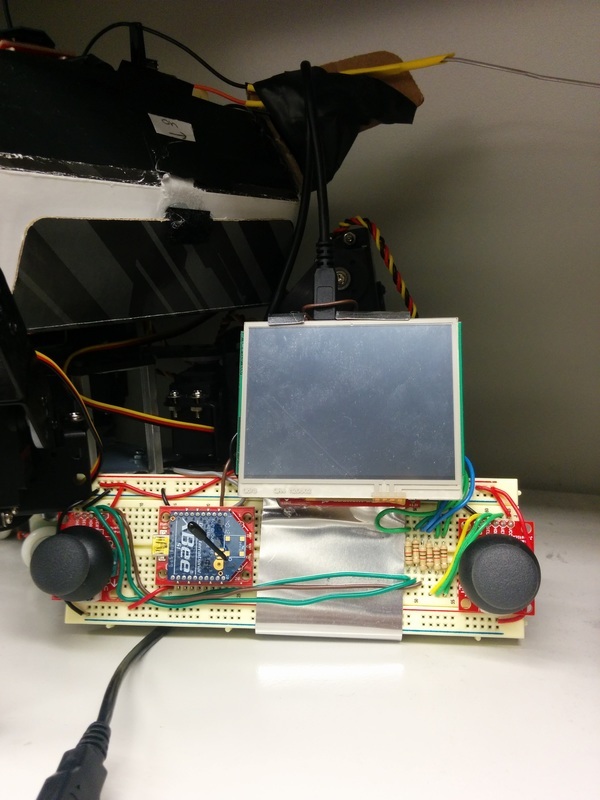 The motor-cortex uses an MBED microcontroller to communicate with an XBee ZigBee module, as well as interpret data from the feeler sensors, and coordinate the walking gait through the servo controller, a Xilinx CPLD. The Xilinx CPLD servo controller uses a custom made parallel interface to set each servo to a corresponding angular position, allowing the MBED "brain" to process only higher functions. The power system uses two lithium-polymer batteries on an isolated circuit, regulated by four 5 volt power regulators, to supply a high current to all of the different servos. The system is opto-isolated from the control board in order to protect the more sensitive electronics from potential electro-mechanical feedback.